Finding reliable parenting information and advice on the web can be overwhelming! How do you know what you can trust — especially when you are busy and there’s just so little time? 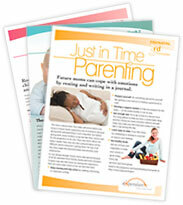 Get our free parenting newsletter delivered to your inbox.